Well, with this spell of sunny weather, the plants have well and truly come alive. I think April is a wonderful month. We still have the early flowering shrubs looking good as well as the glorious spring plants exploding into life. Really, trying to choose a special plant for the month is impossible. The Hellebores looked great this year but are starting to go over. The ribes is looking particularly good this year and of course the magnificent show the spring bulbs are looking magnificent as always. Right outside my office is a viburnum which is covered in heavily scented blooms – quite intoxicating. But I think my favourite plant at the moment has to be Amalanchier lamarckii. 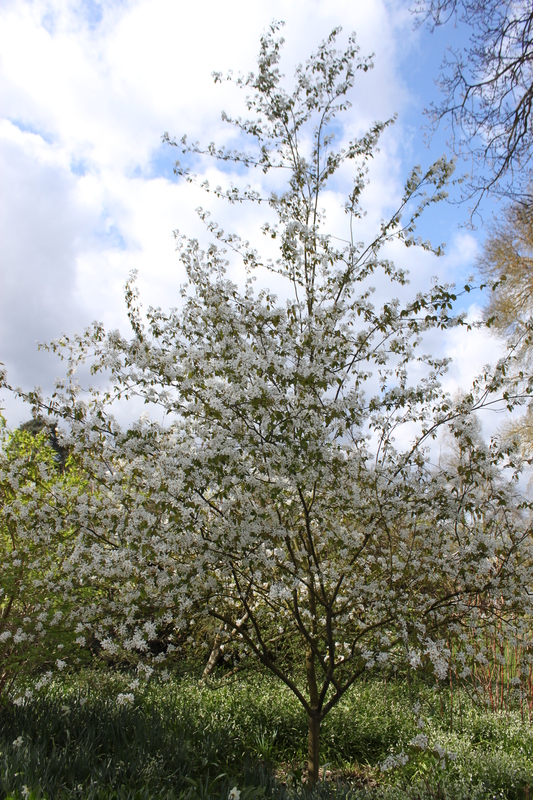 Such a useful small tree or large bush, it gives you a great show throughout the year. 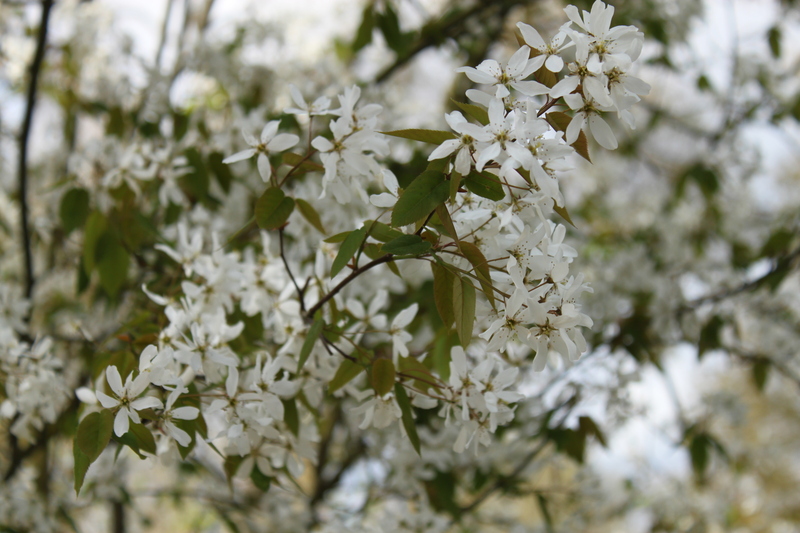 At this time of year it is covered with delicate open white blossom that catches every breeze . Once the blossoms have gone, the plant produces small black berries that attract the birds into the garden. But it leaves the best until last. Amelanchier’s autumn show is nothing short of spectacular. But at the moment I am pretty happy with its spring show. Underplanted with classic yellow daffodils or a sea of Myosotis alpestris (Forget-me-nots) or even both, it looks just great as a focal point in the garden. It is a compact tree so don’t worry about it taking over the garden.